John Lewis, Ed.D. is a leadership speaker and coach, and is the founder and president of Explanation Age LLC, a management consulting company that focuses on thought leadership, organizational change, and knowledge management. 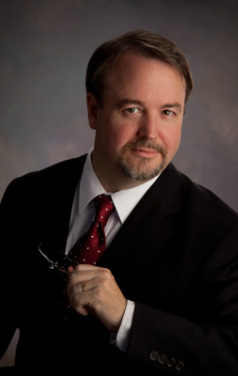 He is a Knowledge Management Faculty Associate at Kent State University, a strategic partner for leadership at Iknow LLC, a member of The International Institute for Knowledge and Innovation, a founding partner at The CoHero Institute LLC, and an independent certified leadership Coach, Teacher and Speaker with The John Maxwell Team. John has delivered a Keynote presentation at the International Conference on Interdisciplinary Research Studies, a Masters Series presentation at the International Society for Performance Improvement conference, and a Thought Leader presentation at the Canadian Society for Training and Development conference. John holds a Doctoral degree in Educational Psychology from the University of Southern California, with a dissertation focus on mental models and decision making. John is the author of the book “The Explanation Age,” which provides tools for the coming age of knowledge and decision transparency, with implications for Business, Education, and Governments. New methods are presented to facilitate strategic management, thought leadership, learning strategies, collaborative decision making, and conflict resolution. John resides in Richmond, Virginia USA.